Gladiolus (Gladiolus spp.) stand out among other summer-blooming bulbs with their sword-shaped foliage and 2- to 5-foot-tall flower stalks, which are lined with trumpet-shaped blooms in every color of the rainbow. Planting gladiolus corms takes little effort, but it does require knowledge and planning to ensure a good outcome. 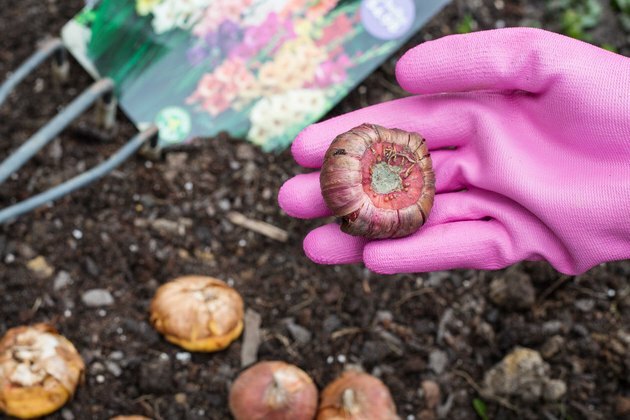 It also requires a pair of thick gardening gloves to prevent skin contact with the corms, which are mildly toxic and allergenic for some people. The planting time for gladiolus varies between species. Most gladiolus species grow best within U.S. Department of Agriculture plant hardiness zones 7 to 10, while hardy gladiolus (Gladiolus x gandavensis) performs best in USDA zones 5 to 9. 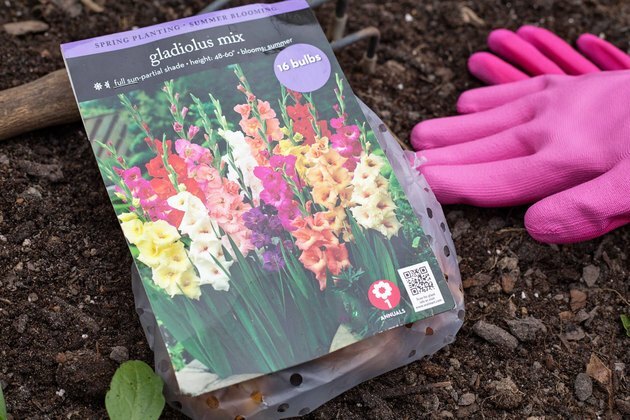 Both standard and hardy gladiolus can be planted in spring after all frost danger has passed and soil temperatures have warmed, although hardy gladiolus can also be planted in mid-autumn within their preferred hardiness zone range. Standard gladiolus corms can overwinter in the ground under a layer of mulch where they are hardy, but they must be dug up and overwintered indoors in colder climates below USDA zone 7. Gladiolus perform best in full sun with moderately fertile, fast-draining soil. Taller varieties also need shelter from strong winds to prevent toppling. Light shade causes smaller flowers, but is otherwise tolerated. However, the corms mustn't be planted near shrubs or tree roots because gladiolus do not compete well for nutrients. Beds with poor drainage or heavy, clay-based soil must be avoided because gladiolus corms rot easily in cold, wet soil. 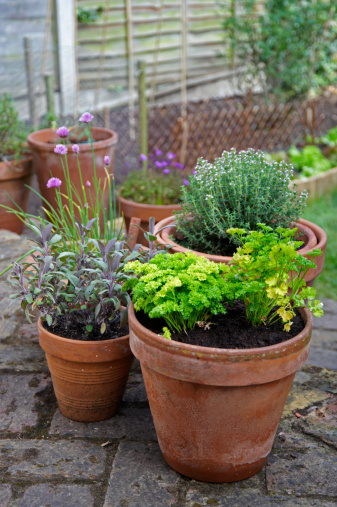 Prepare the bed in advance by amending the top 12 to 15 inches of soil with a 2- to 4-inch layer of neutral compost. If growing taller gladiolus cultivars, install stakes in the bed at planting to provide support as the stalks form. Gladiolus corms range in size from 1/2 to 2 or more inches in diameter. 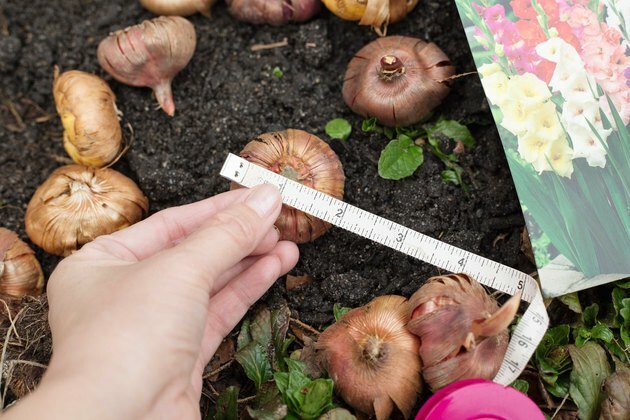 Larger corms with a diameter greater than 1 1/4 inches produce healthier, more attractive flowers earlier in the season, while smaller corms are less reliable and may produce only foliage. Corms with a diameter less than 3/4 inch may not bloom at all and should be avoided. Tall, plump gladiolus corms with a teardrop shape are superior to wide, flat corms, which may produce inferior quality flowers. Also, plant only healthy corms with a smooth, unblemished husk and a firm feel; discard any with obvious damage, signs of mold or a squishy feel when squeezed. The planting depth and spacing of gladiolus corms depends on their size and the reason behind growing them. 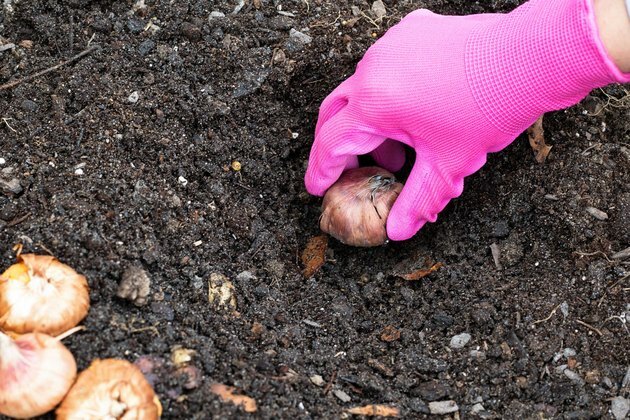 Plant larger corms with a diameter of 1 to 2 inches at a depth of 4 to 6 inches, medium corms 3 to 4 inches deep and smaller corms 2 to 3 inches deep, spacing them 4 to 6 inches apart. When growing gladiolus for cut flowers, plant them in rows spaced 20 to 36 inches apart so they are easier to harvest. For a more natural look, group seven or more corms of the same cultivar together to create drifts. 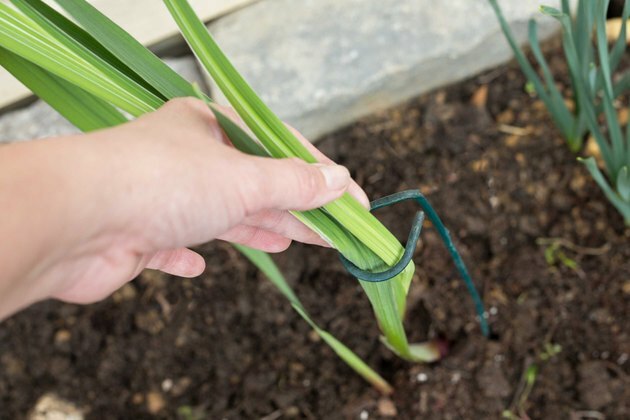 Position the corms in their planting holes with the pointed end facing toward the soil surface. For prolonged blooming, plant gladiolus corms in waves every two weeks from spring until midsummer. Gladiolus need roughly 1 inch of water weekly starting at planting, whether from rainfall or irrigation. 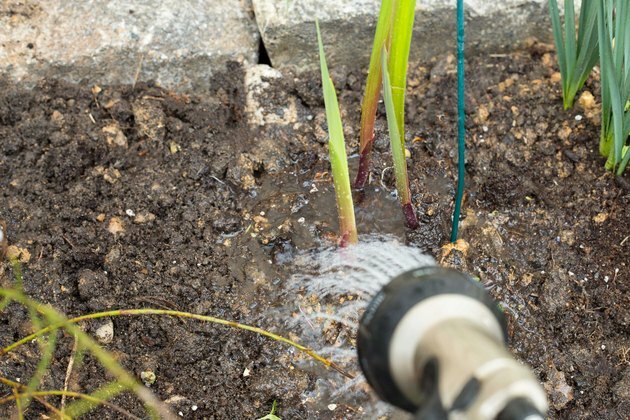 Shower the bed with water until the soil feels very moist in the top 6 to 8 inches, then wait to water again until the soil feels dry just beneath the surface. A 2- to 4-inch layer of lightweight mulch over the bed will help conserve soil moisture and decrease the need for frequent waterings, which in turn will lower the odds of bacterial and fungal growth in the corms. Watch for flowers eight to ten weeks after planting.